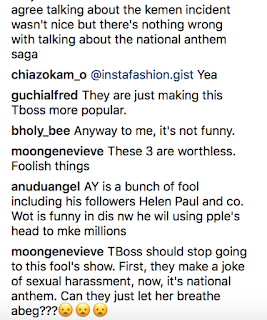 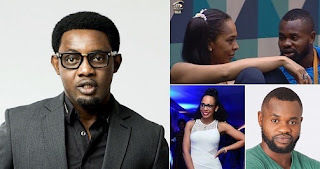 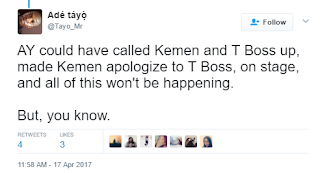 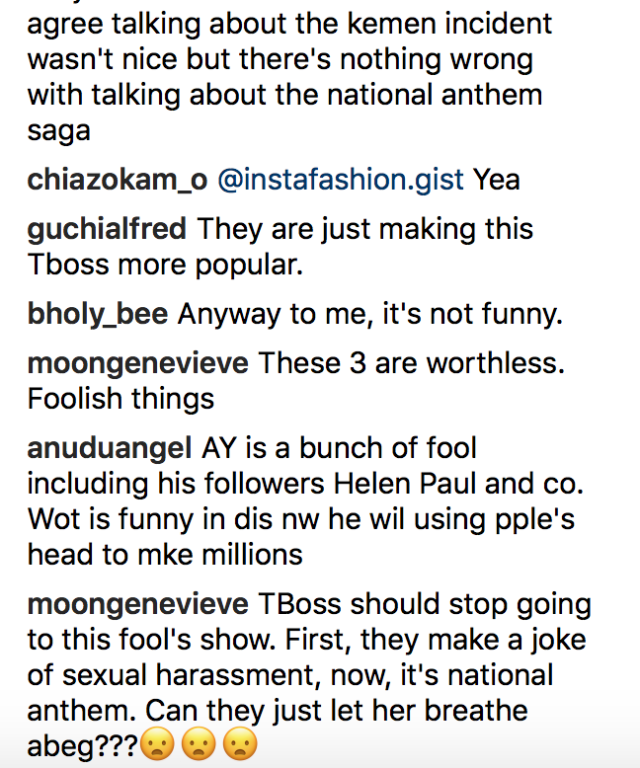 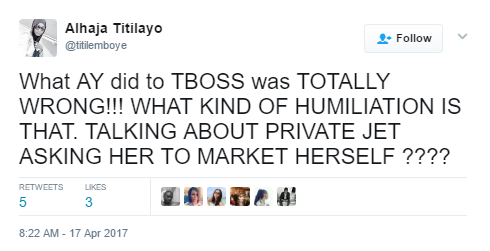 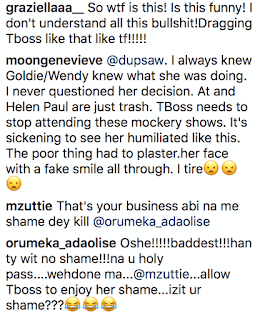 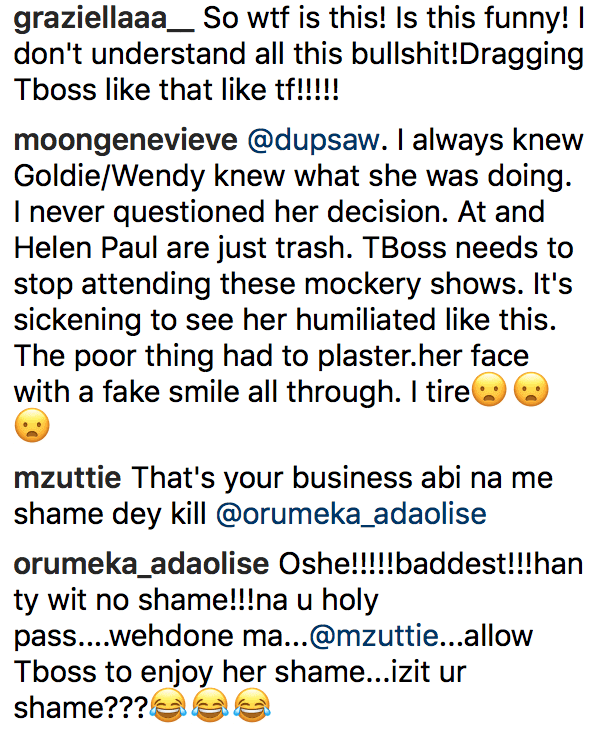 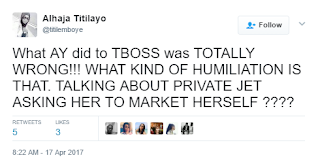 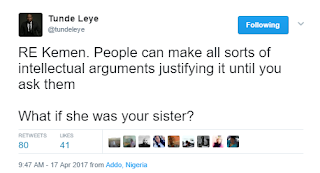 AY Live 2017 Easter show went sour as Ay talked about what Kemen did to TBoss on the Reality TV show . 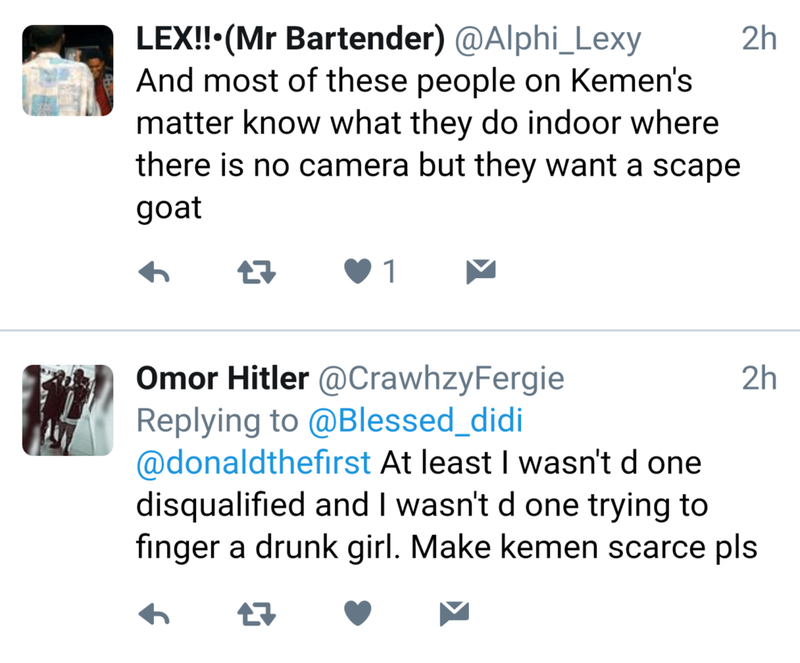 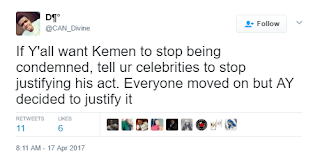 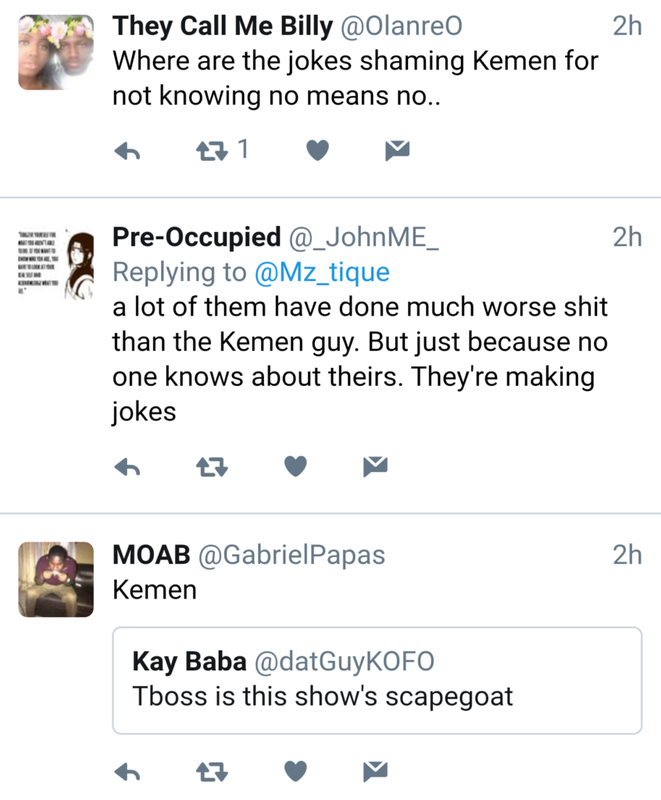 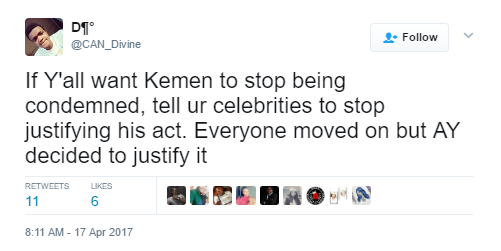 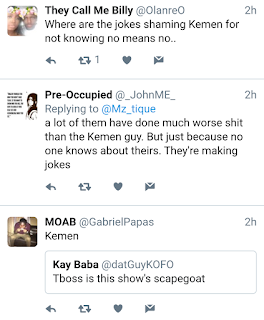 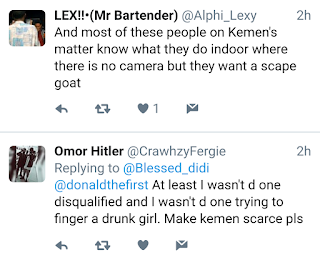 Recall that Kemen got disqualified from the game for “touching” TBoss without her consent while she was sleeping, an act described as “Sexual Molestation”. 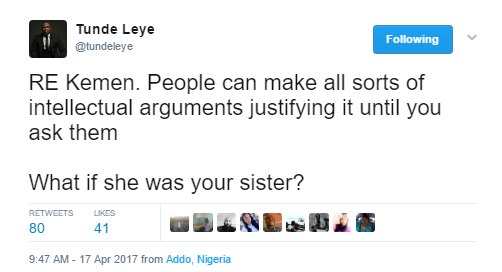 between the two house mates as a normal thing. 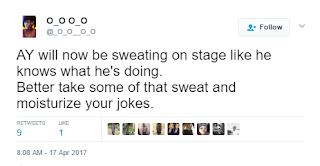 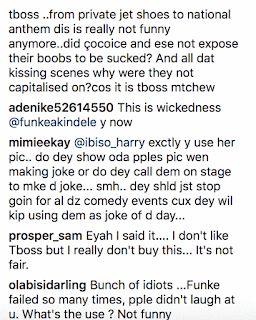 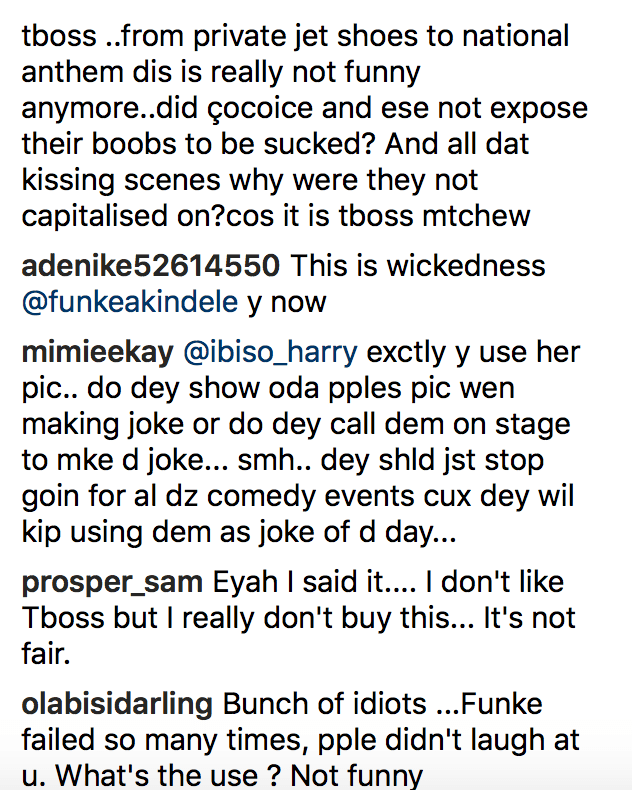 This led to a serious social media war as fans tongue lashed the comedian involved. words and he's going to say it again ..